NASA is all set to launch its unmanned Orion spacecraft from Kennedy space center on Thursday. The module bears striking resemblance to the one used by Neil Armstrong on his maiden journey to the lunar surface almost five decades back. If successful, this could be the beginning of the superpower’s quest for supremacy beyond the Earth and possibly a journey to the Mars in the not so distant future. NASA explains that the spacecraft’s similarity with a five decade old module can be attributed to the fact that physics has not changed much during this time. The space agency hopes to be able to put astronauts on the surface of the moon by 2020, after which the Orion will head for the Red Planet and aim to land there in the 2030s. “We need a spacecraft that’s going to be sturdy enough and robust enough to carry astronauts well beyond low-Earth orbit for weeks and months at a time,” said Lockheed Martin’s Bryan Austin, a former NASA shuttle flight director who will oversee Orion’s maiden voyage. Though no humans have walked on the surface of the moon since Armstrong and Buzz Aldrin made that ‘giant leap for mankind’ on July 20, 1969, the space agency hopes to set up a permanent base on the moon soon, so that astronauts will be able to stay there for almost six months at a stretch. Unlike the old space module where Michael Collins was forced to remain on the mothership while Armstrong and Buzz Aldrin made history by walking on the moon, this time everyone aboard the spaceship will be able to go ahead with a ‘moonwalk’. 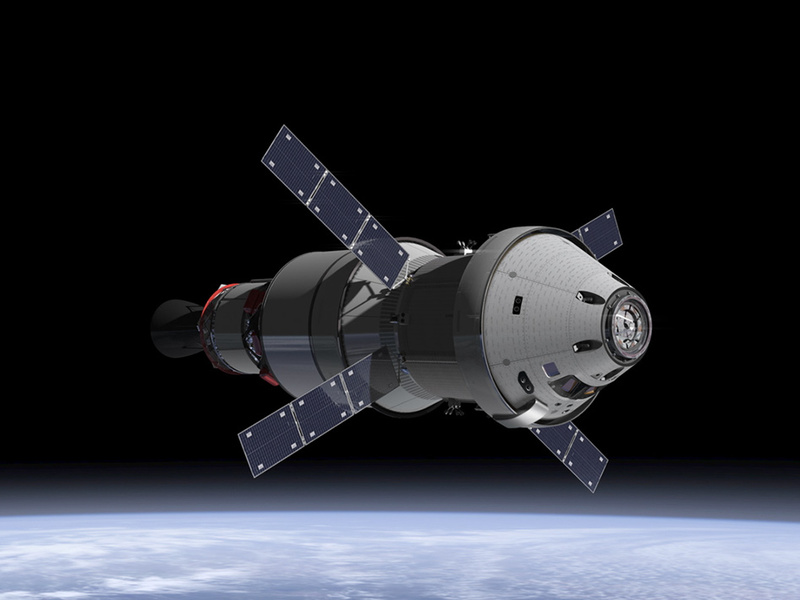 “Orion command module is 16.5 feet (5m) in diameter and 10.8 feet (3.3m). It will weigh about 31,000 pounds (14,000 kg) empty and have a habitable volume of 692 cubic feet (11 cubic m). Apollo’s by comparison has a diameter of 12.8 feet (3.9m) and a height of 11.4 feet (3.47m). It weighed around 12,787 pounds (5,800 kg) and its crew cabin volume was 218 cubic feet (6.17 cubic m),” it was told. “People often ask us, ‘Hey, this thing looks like a capsule, it looks like Apollo,’ and people will confuse that with ‘it’s not new,’ ” said Scott Wilson, Nasa’s Orion production operations manager. The Orion is scheduled for a 5:05 MST launch on Thursday morning atop a Delta IV Heavy rocket and will orbit the earth twice during its 4 hour 24 minute flight before it finally plunges into the Pacific Ocean off the Mexican coast.